Over the past two decades, the push to raise awareness about the benefits of breast and prostate cancer screening has been largely successful. More than ever, patients have realized the benefits of regular screening in terms of early detection and preventative treatment. Cancer, more than any other disease, can be better contained and prevented through screening. 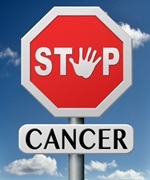 Often, the earliest stages of cancer come with no symptoms at all. Most people will be unaware that a tumor has taken hold and is growing until the condition becomes quite advanced. Screening can help to find the earliest stages of cancer, when abnormal tissue is present but not yet growing in any substantial way or spreading to other parts of the body. Let’s look for a moment at some statistics as they relate to prostate and breast cancer. The American Urological Association (2013) has set out guidelines for the PSA test. They recommend that men under the age of 40 do not need PSA screening. Men who are between the ages of 55 and 69 are urged to discuss with their doctors whether or not they should be screened every two years depending on their risk for developing prostate cancer. As for breast cancer, women are advised to do breast self-exams every three years from the time they are 20. Breast exams should be done yearly by a doctor after the age of 40. Mammograms are recommended for those at risk. While lives have been saved with breast and prostate cancer screening initiatives, researchers are now raising the alarm about another form of cancer that frequently gets overlooked: bowel cancer. Bowel cancer screening has been proven to save lives. The over-diagnosis of bowel cancer is rare, although this phenomenon has repeatedly marred breast and prostate cancer screening programs. Both breast and prostate cancer tumors can be flagged during screening but these tumors may, in fact, prove to be harmless. The researchers championing bowel cancer screening are from France’s International Prevention Research Institute. They say bowel cancer screening is cost effective because it is accurate and clinically valuable—it saves lives. The researchers would like to see a push to have people over 50 made aware of the bowel cancer test. It’s time, they say, that national health services organize screening programs. Screening for bowel cancer involves either a faecal occult blood test or an endoscopy. A faecal blood test checks a sample of feces for markers of bowel cancer. An endoscopy uses a small camera to look inside the large bowel for polyps that often precede the onset of bowel cancer. Talk to your doctor or healthcare provider about colorectal screening tests. Decide together which ones you should have and how frequently you should be screened. Keep in mind that screening for bowel cancer is a proven and successful method that could lead to defeating this form of cancer while it’s still in its earliest stages. Kelland, K., “Focus should shift to bowel-cancer screening from breast and prostate programs, experts say,” The Globe and Mail web site, Sept. 30, 2013; http://m.theglobeandmail.com/life/health-and-fitness/health/focus-should-shift-to-bowel-cancer-screening-from-breast-and-prostate-programs-experts-say/article14604562/?service=mobile#!/, last accessed Sept. 30, 2013. “Screening for Bladder Cancer and Other Urothelial Cancers,” National Cancer web site; http://www.cancer.gov/cancertopics/pdq/screening/bladder/Patient/page3, last accessed Oct. 1, 2013.